Congratulations to the Bad Dog Repertory Players on being voted the Best Improv Troupe in Toronto by the readers of NOW magazine! The Bad Dog Theatre Company is thrilled to introduce the Canadian Comedy Award nominated Bad Dog Repertory Players. 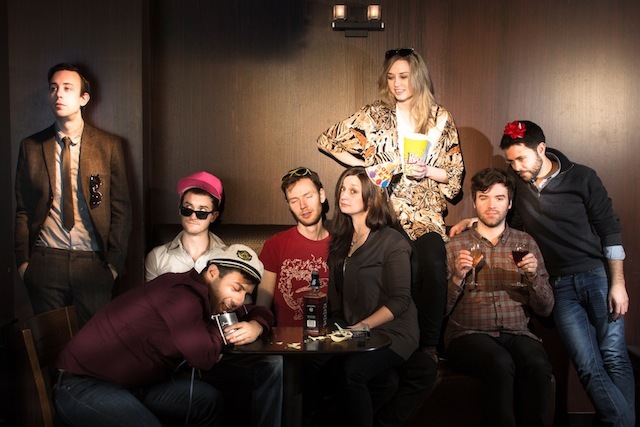 Hand-picked by Bad Dog’s Artistic Director, and veteran improv performer, Julie Dumais this 14-person cast is a veritable who’s who of the cutting edge of Canadian improvisers. With a mandate to create dynamic and original improvised formats, the Bad Dog Repertory Players made their highly anticipated debut in May of 2012 and return to Bad Dog Comedy Theatre with a new show every other month. Individually this group of familiar faces has won awards, been on television, published books, starred in popular web series, appeared at fan conventions, taught hundreds of students, written plays and performed all across North America. Hailing from all corners of the country (Vancouver, Halifax, Toronto, Edmonton, Montreal, Regina, Ottawa and even exotic Burlington!) the Bad Dog Repertory Players are a dream team of improvisers so delighted to perform together, their energy is infectious.